Rouven just finished this fullsleeve with a freehand candle and some background. The reaper and the candle are cover ups. 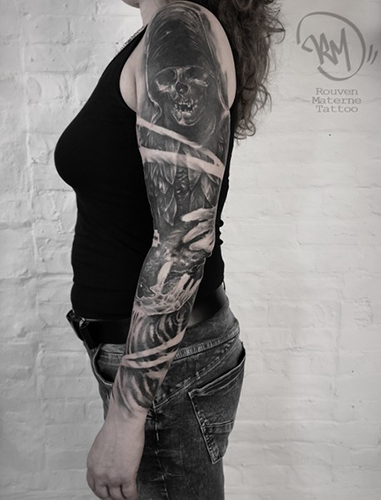 Send Rouven Materne your ideas for tattoo projects and create some sick, beautiful bodyart with him.